Starting a business can be a very lonely affair. This is especially the case if you’re a single founder and aren’t working with a team to develop your product or service. When I got into business in 2006, there wasn’t much of an online community for solo-entrepreneurs and lifestyle business owners. During the last half-decade, that’s changed dramatically. There’s now a vibrant community of blogs and podcasts created by people who are doing their own thing without a large organization backing them up, and loving every bit of it. Here are three podcasts that I’ve been listening to during the last year. I do not recommend any of these shows lightly, as I’ve listened to every episode of each show. Mike and Rob provide some excellent productivity tips in finding the time to get started and actually working on your business. They also have some good insight about identifying a niche to build a business in and some of the legal and accounting issues surrounding small business life. Lifestyle Business Podcast – I was made aware of this show, hosted by Dan Andrews and his business partner Ian, via a recommendation on an episode of Startups for the Rest of Us. Dan and Ian own a conglomerate company that’s made up of a number of internet business, including selling cat furniture. Dan an Ian offer some great insight about lifestyle design and outsourcing. Unfortunately they don’t talk about their specific businesses as much as I’d like them to. They, like many other entrepreneurs, are likely worried that someone will copy their business idea and make it harder to compete. 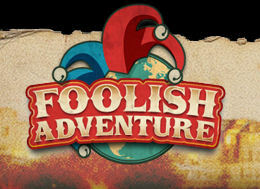 The Foolish Adventure – This podcast, hosted by Izzy Hyman and Tim Conley, helps entrepreneurs develop audience-driven businesses, such as membership sites. It took them a good thirty episodes to find their niche in the world of start-ups, but they have some fantastic advice in regards to building an audience, setting up membership websites, improving conversion rates and leveraging your passion. Episode 33 is probably the “defining moment” of the podcast. This is the episode where they discover that their niche is to help content creators develop an audience-based business. There are a couple of other other start-up podcasts that are good, such as Smart Passive Income, and This Week in Startups and This Week in Venture Capital. Unfortunately I can’t recommend Smart Passive Income, as I haven’t had the opportunity to listen too many of the shows just yet. I also can’t recommend the ThisWeekIn shows as part of this list because they focus on high-growth, VC-funded start-ups, but they do offer great content and interviews. Great post Matt – I have been listening to episodes 60 on and now going back to the archives to listen from the beginning. Great stuff and very timely! !